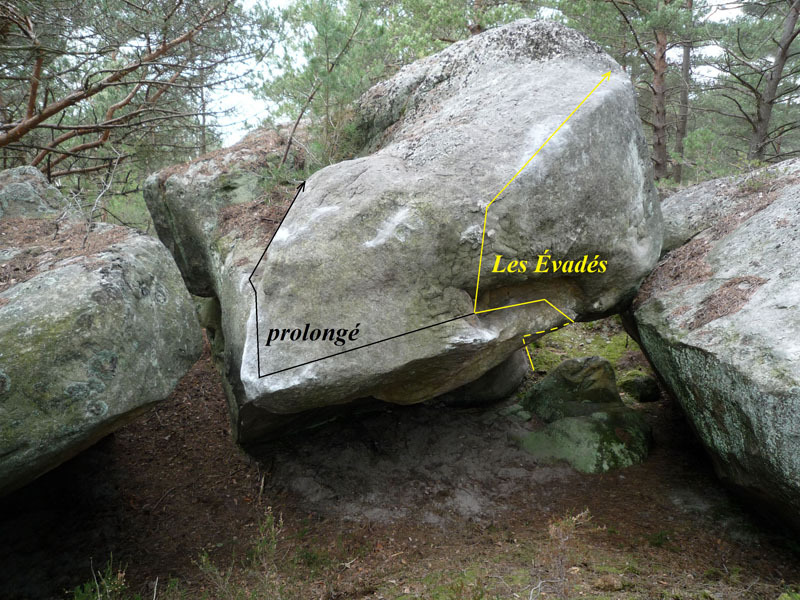 Sitstart at a big piercing in the overhang, traverse to the right in the roof as for Les Évadés, continue to traverse at a small round prow and exit by a mantle in the left face. Access : from the equestrian centre, follow Le Chemin de l'Auberge for 200m, turn right at the first boulders and follow a small path for 300m. The boulder is 30-40m above.